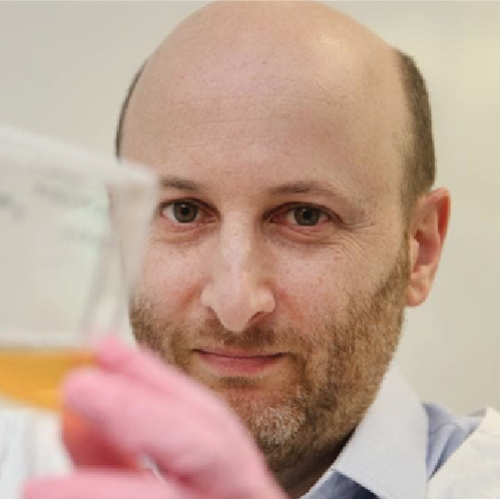 A/Prof David Ziegler is a paediatric oncologist, haematologist and bone marrow transplant physician. He has a subspecialisation in neuro-oncology and cares for children with benign and malignant brain tumours. He has a particular interest in developing and testing new treatments for children with incurable cancers. A/Prof Ziegler trained in medicine at the University of New South Wales and graduated with first class honours in 1995. During his undergraduate training he received the Sydney Children’s Hospital Faculty Award for Outstanding Performance in Paediatrics. He completed the diploma of paediatrics in 1999 and was awarded the Fellow of the Royal Australasian College of Physicians in 2006. He trained in paediatric oncology, haematology and bone marrow transplantation at Sydney Children’s Hospital, Randwick (SCH) and then the Children’s Hospital in Boston. From 2005-07 he was awarded a Fulbright Scholarship to pursue a research fellowship at the Dana Farber Cancer Institute, Harvard Medical School and Children’s Hospital Boston. His research focused on the preclinical development and clinical translation of novel therapies for paediatric brain tumours. He was awarded a Doctorate of Medicine at UNSW in 2009. A/Prof Ziegler is a Senior Staff Specialist at the Kids Cancer Centre at SCH. He has established a clinical research program specifically designed to develop early phase clinical trials for children with cancer. He has concurrent appointments as Group Leader at the CCIA, and is a conjoint associate professor at the University of New South Wales. He runs the largest laboratory in Australia dedicated to finding new treatments for childhood brain cancer. Within the CCIA he has also established a translational research group to take discoveries made in the laboratory back to the patients who desperately need new treatments. The brain tumour research program at the Kids Cancer Centre, Sydney Children’s Hospital is devoted to improving the outcomes for all children with brain tumours. We have a comprehensive research program that stretches from investigating the basic biology and genetics of childhood brain tumours in the laboratory, to the implementation of novel treatment strategies in state-of-the-art clinical trials. Our laboratory research program is one of the largest in Australia devoted to the investigation of childhood brain cancer. Our research has focused on developing novel targeted therapies that specifically attack brain tumour cells but spare normal healthy tissues. The overall aim is to find new treatment strategies that improve the cure rates for childhood brain tumours and simultaneously decrease treatment side effects. Exciting progress has been made in identifying agents that induce a profound anti-tumour effect in several different childhood brain tumour types, including malignant gliomas, Diffuse Intrinsic Pontine Gliomas and medulloblastoma. A second major area of focus is on the translation of new treatment strategies from the laboratory bench to the clinic to help children who have failed to respond to conventional therapies, or for whom no standard effective therapy exists. We have established an early phase clinical trials program that offers novel therapies to these children based on the exciting laboratory discoveries made by our scientific team. Funded extensively by donations from the public, we focus on ground breaking clinical trials that deliver new treatments for children with relapsed and refractory brain tumours. In the past few years we have opened a world first trial using a new cancer treatment developed in Australia called “EDV”. This represents a revolutionary way to deliver treatment to children with brain and solid tumours. Our patients are the first children in the world to receive this new treatment. In 2018 we opened a new study of a drug called ACT001. This is a compound that is one of the top 5 most active molecules that has been found to work against brain cancer cells in the Ziegler lab. The first children with incurable brain tumours have now been enrolled on this trial, and are the first children in the world to be treated with this new anti-cancer agent. In 2016 we launched a pilot study of personalised medicine for children with incurable brain tumours and other aggressive cancers. In this study we took each child’s individual tumour and performed comprehensive molecular, genetic and drug testing in the laboratory to identify specific treatments that may work for each patient’s distinct brain tumour. This exciting and innovative pilot trial, led by A/Prof Ziegler, has now completed enrolment. While we initially planned to include 12 patients in the study, there was such demand for this cutting-edge technology that 58 patients were enrolled. In 2017 we opened the next stage of this program with the PRISM study – a national personalised medicine trial, which now offers this world class technology to all Australian children with high risk cancers. About half the children enrolled on both of these trials have brain tumours, indicating the high risk nature of many brain cancers, and the urgent need to find better treatments for many of these patients. Finally, our team has ongoing strong collaborations with local, national and international co-operative group to ensure newly diagnosed patients with brain tumours are receiving the state of the art diagnostic tests and treatment strategies for their disease. For example, we work closely with the US based Children’s Oncology Group and the CONNECT clinical trials group to ensure access to the most advanced forms of treatment. Our clinical trials cover a comprehensive range of childhood brain tumours including medulloblastoma, high grade gliomas, diffuse intrinsic pontine glioma, low grade glioma, ependymoma and relapsed brain tumours. We have recently partnered with a pharmaceutical company to open a ground-breaking trial of immunotherapy treatment for children with high risk brain cancers. We are developing a trial of a completely new type of treatment for children with brain tumours called “CAR T Cells”. This treatment takes a child’s own immune cells and engineers them in the laboratory to attack their cancer. This trial is planned to open in late 2019 and Australian children will be amongst the first in the world to receive this cutting-edge therapy. Funding for all our research projects and programs depends on vital community support to ensure our patients receive the best chance of cure with minimal treatment side effects, and to allow us to offer new hope for future generations of Australian children and their families. A second major area of focus is on the translation of new treatment strategies from the laboratory bench to the clinic to help children who have failed to respond to conventional therapies, or for whom no standard effective therapy exists. We have established an early phase clinical trials program that offers novel therapies to these children based on the exciting laboratory discoveries made by our scientific team. Funded extensively by donations from the public, we focus on ground breaking clinical trials that deliver new treatments for children with relapsed and refractory brain tumours. In 2016 we opened a world first trial using a new cancer treatment developed in Australia called “EDV”. This represents a revolutionary way to deliver treatment to children with brain and solid tumours. We have now treated the first children in the world with this new treatment. In 2018 A/Prof Ziegler is planning to open a new study of a drug called ACT001. This is a compound that is one of the top 5 most active molecules that has been found to work against brain cancer cells in the Ziegler lab. The trial will be the first in time in the world it has been used to treat children with brain tumours. In 2016 we launched a pilot study of personalised medicine for children with incurable brain tumours and other aggressive cancers. In this study we took each child’s individual tumour and performed comprehensive molecular, genetic and drug testing in the laboratory to identify specific treatments that may work for each patient’s distinct brain tumour. This exciting and innovative pilot trial, led by A/Prof Ziegler, has now completed enrolment. While we initially planned to include 12 patients in the study, there was such demand for this cutting edge technology that 60 patients were enrolled. In 2017 we opened the next stage of this program with the PRISM study – a national personalised medicine trial, which now offers this world class technology to all Australian children with high risk cancers. About half the children enrolled on both of these trials have brain tumours, indicating the high risk nature of many brain cancers, and the urgent need to find better treatments for many of these patients. Finally, our team has ongoing strong collaborations with local, national and international co-operative group to ensure newly diagnosed patients with brain tumours are receiving the state of the art diagnostic tests and treatment strategies for their disease. For example, we work closely with the US based Children’s Oncology Group and the St Judes clinical trials group to ensure access to the most advanced forms of treatment. Our clinical trials cover a comprehensive range of childhood brain tumours including medulloblastoma, high grade gliomas, diffuse intrinsic pontine glioma, low grade glioma, ependymoma and relapsed brain tumours. We have recently partnered with a pharmaceutical company to open a ground breaking trial of immunotherapy treatment for children with high risk brain cancers. Funding for all of our research projects and programs depends on vital community support to ensure our patients receive the best chance of cure with minimal treatment side effects, and to allow us to offer new hope for future generations of Australian children and their families.